The band is a labour of love and a product of many years of hard work and dedication. Expect a note perfect musical journey from the humble gospel beginnings of the Tennessee two, right through to the final and emotional American Recordings. Keep it Cash proudly centre their tribute show around the uncanny natural sound-alike quality of Dave Burnham's voice. They began rehearsing back in 2001, playing their first gigs around 2002 in pubs and small venues. Keep it Cash have now performed hundreds of sold out shows to thousands of people in many countries across the world including: France, Belgium, Luxembourg, Australia, Germany, America, Scotland, England, Ireland and Wales. 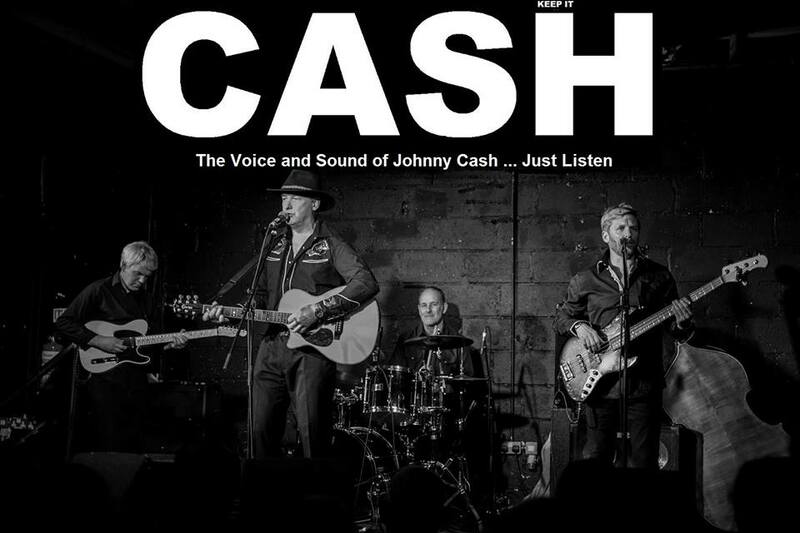 This band is recognised as the no.1 sound-alike to Johnny Cash and has been booked by 20th Century Fox, Sony and the BBC. Keep it Cash formed in 2001 and started playing for fun in pubs and clubs, in 2002, they performed more than 70 shows. The band started selling out these smaller gigs and consequently offers to perform at bigger more established venues came in. In 2005, Keep it Cash were contracted to play at the launch of the film 'Walk the Line' providing the live sound track on the day. This publicity had a further positive impact on the band and again pushed the show forwards into accessing bigger venues.